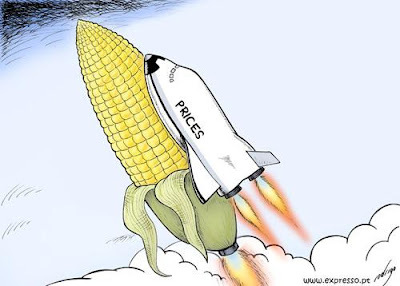 When I look at the cost of food in the grocery store these days, I am convinced that items have risen by more than 30% in the last two years. That is an outrageous increase and they are reporting that we are going to face additional increases in the new year. With the proper planning we can fight this and save significant amounts of money. I designed menus and shopping lists for my sister in law for one year and she estimates that by following that plan she saved approximately $1200 over a period of 12 months. The time she saved is invaluable and the recipes are healthy, easy, quick and kid-friendly. I’ve loved getting phone calls from my nephews telling me that their dinner was super tasty and they’re looking forward to more. It’s not always easy staying organized but it sure makes a big difference in your bank account. Here are some tips from Investopedia to keep in mind when you’re shopping and trying to balance your budget. Dining out is an expensive proposition. Just about any nutritious meal that you buy in a formal restaurant can be made at home for a fraction of the price. Even good coffee is cheaper to make if you do it yourself. Fast food is excluded from the category, as high-calorie, low-quality food can be had a bargain price, but the impact on your long-term health overrides the benefit of short-term savings. If you stumble around the grocery store and fill your cart with everything that catches your eye, chances are you will spend a lot more money that you needed to spend. To minimize your cash outlay, prepare a shopping list before you leave home. Plan your meals for the week ahead, and make careful note of what you need to buy in order to prepare those meals. Once the list is made, purchase only the items on the list, and avoid impulse buys. 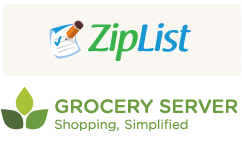 **The best app for this is Ziplist. It has changed my life! Read more about it here. Grocery stores are designed to make you go through a maze to get to the most basic items you need in the hope that you will make a few impulse buys along the way. If you keep to your planned list of needed foods, you won’t be tempted when you get forced down the junk food aisle to get at the milk. Because most necessities and basic cooking items are found along the outside perimeter of the store, start there and work your way around the edge of the store, only stepping into the maze to grab any leftover items on your list. When you are hungry and you walk into a building full of food, there’s a high likelihood that you are going to fill you cart with unnecessary and expensive purchases that appeal to your taste buds. To keep your costs down, eat first and shop on a full stomach. Our fast-paced society encourages convenience, and the grocery store has capitalized on this trend. Ready-made meals are easy to buy, but come with a premium price tag. Instead of putting that rotisserie chicken and macaroni salad in you cart, buy the ingredients and prepare the meal yourself. The same concept applies to frozen entrées, baked goods and any other food that has been prepared in some way for added convenience. If you don’t like the water that comes out of the tap, buy a water filter. The per-gallon cost is significantly less than the cost of bottled water – and without all the plastic bottles to discard, it’s a lot easier on the environment. 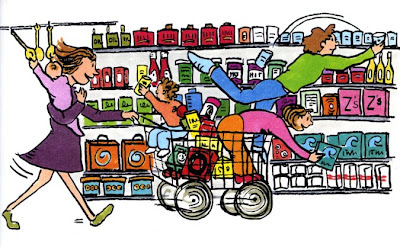 Hungry, tired, cranky kids increase the amount of time it takes to get your shopping done. 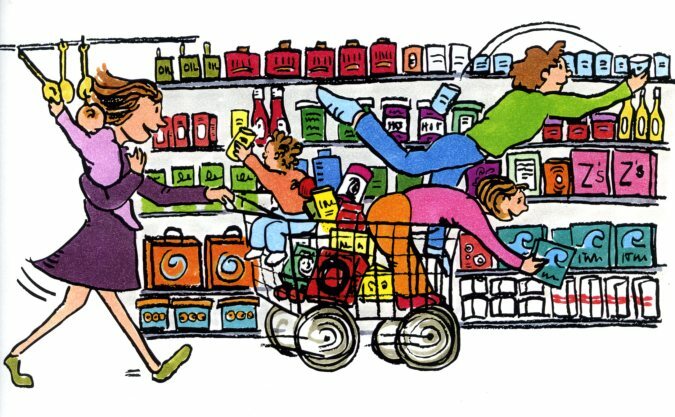 Every extra minute that you spend in the grocery store increases the likelihood of extra items finding their way into your cart, including toys and snacks designed to keep the kids quiet while you try to focus on finding a few bargains. Bulk buying can save you a significant amount of money. Pay attention to the prices and pick up the family-size package if the per-unit cost is lower and you have a place to store it. Shopping at big-box retailers like Sam’s Club and Costco can also save on your bill if you shop there frequently enough to cover the cost of membership, but pay careful attention to your spending habits. The big boxes are often no bargain at all when compared to sales prices and coupon savings at other stores. 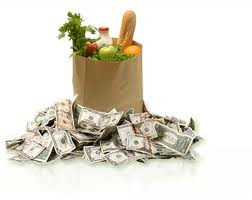 In addition, they may encourage you to buy more than you need, driving up your grocery bill. If the store that you visit most frequently has a reward card, be sure to sign up. In some cases, stores raise their prices when they offer reward cards, and without the card your bill will certainly be higher. If the reward card offers other benefits, such as a ham for the holidays or a discount on gasoline, be sure to maximize your benefits by paying attention to the cutoff dates and cashing in your points before they expire. Coupons provide an easy way to save money. Clip them and cash them in, paying particular attention to stores that double the value of manufacturers’ coupons. A number of websites also offer coupons exclusively, for example PromoCodeWatch and they are a great place to search for discounts on the items you have on your list. If you frequent a website of your favorite brands, they will often offer discounts to their faithful public. A few minutes of surfing online can make a difference at the till.